For those afraid that the isolation of a single room would turn them into axe murderers, but who also believe living in a double would make them axe-murder their roommates, Blackstone offers an elegant solution. Each of the double apartments includes two single rooms adjoined by a kitchenette and a bathroom, creating a space that allows for plenty of privacy but also the opportunity for consistent contact with another human being. And for the preternaturally social, the first floor’s two lounges give residents the chance to bond amidst a fireplace and grand piano or in front of a big-screen TV. 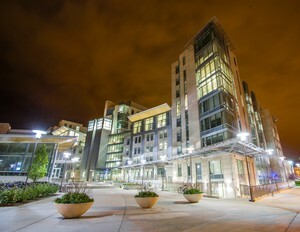 The six-floor building also has a computer lab and study room. Blackstone’s location is both a prime attraction and a prime deterrent. Although a 10-minute walk to campus doesn’t sound like much, in the bleakest days of winter it can cause a whole lot of griping. On the plus side, the building is quite close to the restaurants and shops of East 57th Street and provides easy access to transportation downtown via the #6 bus or the Metra station a few blocks east. The neighborhood immediately surrounding it is quiet and residential. Because Blackstone was restricted to upperclassmen until a few years ago, house culture is relatively low-key. But the introduction of first-years pried open the communal spirit and current residents are eager to expand the house’s repertoire of activities: One beloved tradition involves weekly tea-drinking and record-listening in the RH’s apartment. Located at East 59th Street and South Blackstone Avenue, Breckinridge is named after Sophonisba Preston Breckinridge (Ph.D. 1901, J.D. 1904), who was the first woman to receive a Ph.D. in Political Science from UChicago, the first woman to graduate from the Law School (with its first class), and founder of what is now the School of Social Service Administration (SSA). Breck’s residents, affectionately known as Breckies, are a tight-knit group of about 95 students, all part of Breckinridge House. Known for their quirky and lively character, they bond over Breck’s distance from most campus amenities. Breck contains fairly sizable singles (around 10 by 12 feet) and a few doubles, but Breckies enjoy socializing in their airy, wood-paneled lounge, complete with comfy couches and a grand piano. The basement houses a community kitchen and an additional lounge with a ping-pong table and billiards. The building borders the Midway Plaisance, perfect for pickup Frisbee games and outdoor studying—weather permitting, of course. The dorm is also conveniently located next to the 59th Street Metra station, making it easy to commute downtown for house trips and weekend excursions. Like most residence halls, Breck has its own Scav team, not letting its small size impede the team’s competitiveness and leading it to a fourth place finish last year. One of Breck’s unique House traditions is Sophie Day, a soiree commemorating its venerable namesake, to which professors are invited—so you can expect to discuss Durkheim over dinner. From the outside looking in, it would seem that living in Broadview Hall roughly approximates the experience of living off-campus minus all the perks. Broadview residents still pay room and board fees, spend exorbitant amounts of money for the dining halls, and live under housing regulations. But hey! Like an apartment resident, Broadviewers get to walk 15–20 minutes to class after missing the #171 bus. To the positives, though: Because of their distance from campus, Broadviewers covet house community. 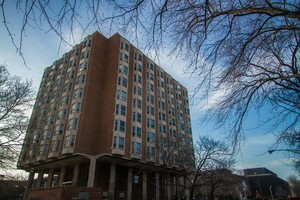 With roughly 200 residents spread across three houses—Palmer, Talbot, and Wick—the dorm is very tightly knit, especially when the weather gets rough. House activities are abundant and range from trips to the Chicago Symphony Orchestra to watching the infamously bad movie The Room. Super Smash Bros., or “Smash,” is played religiously throughout the dorm, and the ping-pong table is nearly always in use. Because Broadview was once a hotel, the building contains a library, ballroom, kitchen, fitness room, and music practice room, all for dorm-wide use. Don’t get too excited though; Broadview was a hotel decades ago, meaning that its facilities are not as technologically advanced as, say, South Campus or Max Palevsky. The dorm’s biggest draw is its close proximity to the #6 bus to downtown, something that enables Broadviewers to escape the UChicago bubble with ease, allowing a refreshing change of pace from what is often a gloomy winter. The bus stops right outside the dorm, and that fact is one of the few retorts a Broadviewer has to use in battle against other dorms. Burton-Judson, the giant, castle-like fortress south of the Midway that contains two courtyards and six houses, can be a strange place to live. Second only to Snell-Hitchcock in the alleged nerdiness of its residents, B-J (as it’s sincerely and un-ironically called) has a strong Scav culture, beating long-time rival Snell-Hitchcock in 2011. However, some true brilliance has come out of here as well: former residents include Philip Glass (A.B. ’56) and Carl Sagan (A.B. ’54, S.B. ’55, S.M. ’56, Ph.D ’60), before he moved to Hitchcock. B-J is also home to the smallest houses on campus, promising a tight-knit community. Built in 1931, B-J is old, sturdy, and stuffy enough to be a Tudor-era castle miraculously plopped down on the South Side. Sharing a dining hall with the ultra-modern South Campus dorm, it’s clear that B-J is very much a product of another era. Unfortunately, there’s no air-conditioning, but most of the rooms are singles, so clothes are optional. The two lounges adjacent to the courtyards are some of the most majestic napping areas on campus: each contains a library, grand piano, and even a few authentic Chagall paintings. B-J’s basement, known as the Pit, serves as a dorm-wide lounge, with a recently refurbished movie theater, a pool table, and a (pretty pathetic) exercise room. There are also secret tunnels running under the building that you’re not supposed to (but can) explore, as well as a tunnel to the Law Library that was permanently locked in recent years (rumor has it that B-J resident Tucker Max (A.B. ’98) used this tunnel to streak naked through the Library). For those 30 Rock fans out there, International House draws some parallels to New York City’s Rockefeller Center. John D. Rockefeller Jr. founded both establishments; Bernard Sahlins (A.B. ’43), co-founder of Second City comedy troupe—which is known to have launched the comedy career of Tina Fey (creator of 30 Rock, set in Rockefeller Center)—lived in I-House. Located on East 59th Street between South Dorchester and Blackstone Avenues, I-House has become a prominent center of residential life in recent years. It was opened in 1932, and still serves as a multi-purpose building, hosting everyone from world-renowned speakers in its assembly hall to international students studying at the English Language Institute and—more recently—undergraduates like yourself. I-House is home to approximately 480 people, roughly half of whom belong to the College: Thompson and Shorey House will join Booth and Phoenix in this year to bring the undergraduate total to 253. Though known for being one of the dorms more remote from the quad and other campus centers, I-House is not without its perks. 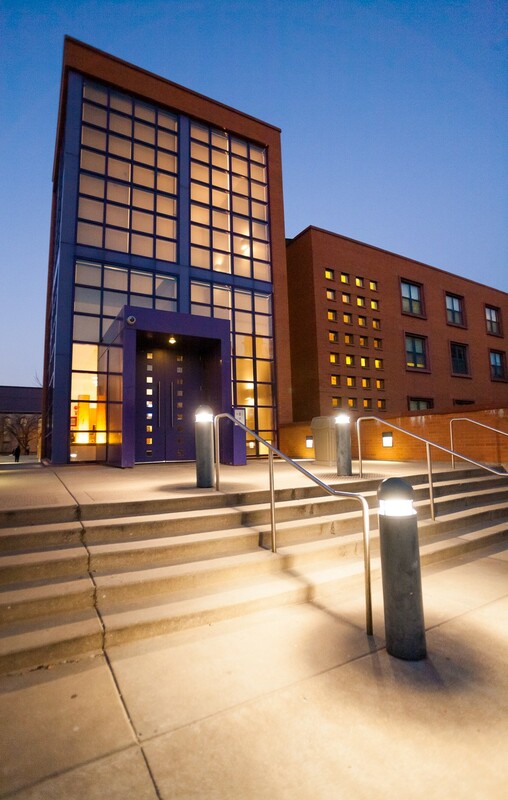 Residents have access to an inner courtyard and a large community kitchen, along with a fitness room and many events and activities exclusive to the International House community. Living in this dormitory can be a gateway to the world outside of Chicago: UChicago’s International House is a part of a network of similar lodges worldwide, from New York to Sydney, London to Taipei. Although tucked into a corner of Hyde Park so quiet that residents of other dorms are known to insinuate it doesn’t exist, the denizens of Maclean Hall often insist they occupy the best-kept secret on campus. The four-story brick building, a former retirement home—not, as rumors would have it, a rehabbed insane asylum—hosts a diverse bunch of about 100 students, almost all in singles. Don’t assume having their own rooms means Macleaners are anti-social. As one of the largest single houses on campus, the dorm is famously tight-knit and its large common area and kitchen are usually buzzing with card games, friendly chats, or preparations for some truly noteworthy study breaks (the giant refrigerators come in handy). There’s also a projector room used for movie nights and available on reserve for student use; might we suggest A River Runs Through It, based on the novel by dorm namesake Norman Maclean? If Maclean’s confines get too cozy, campus is just a quick walk away. And if exercise is your thing, Ratner, at just two blocks away, is even closer. Then again, given one of the dorm’s other reputed attributes—a remarkably high rate of “house-cest”—you might not be leaving that single much after all. Whether you chose Max Palevsky for the convenience of sharing a bathroom with only three other people you don’t know, the promise of living with other “normals” who wandered onto campus, or its close proximity to two athletic centers, two libraries, and a dining hall, you should get what you hoped for. The suite-style rooms, complete with a shower, bathroom, and central foyer, can be a rude awakening for those unfamiliar with the tasks of buying toilet paper and cleaning bathrooms on a regular basis. But once you get the hang of it, it’s quite a luxury to live without the typical fears associated with dorm-living, such as forgetting your shampoo—or worse, your bathrobe!—when you go to take a shower. For better or for worse, the residents of Max generally embody the stereotype of being some of the least UChicago-y kids on campus. Not everyone fits the mold, though, and even those who do usually have no problem discussing Marx, Foucault, or “that one time during Scav.” Not to mention, the athletes in each house are probably your best shot at winning any sort of intramural sporting event. And with so many people and a central location, there are enough people around that whatever your vibe, you’ll find someone to match it. 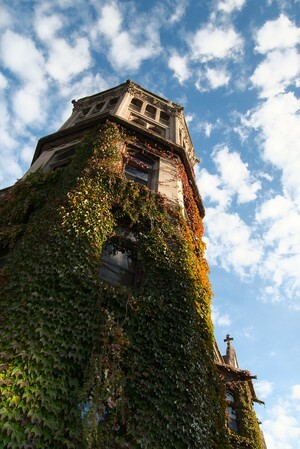 From the Monsters of the Midway to nuclear reactions in a rackets court, UChicago is steeped in tradition. The New Graduate Residence Hall is not. But don’t let that dissuade you—it’s undeniably one of the swankiest places to live on campus, as it was exclusively serving graduate students until fall of 2011 (let’s face it, the older you get, the better living space you need). On top of that, it’s expanding this year with the addition of two houses from Pierce Tower, may it rest in peace, which will undoubtedly bring new traditions. New Grad’s history as undergraduate housing can be documented in a single paragraph: It all began a couple of years ago when the College started receiving applications from every man, woman, and child in high school. More students accepted admissions offers than expected, so they created Midway House, tucked away on the third floor of the awkwardly-named New Graduate Residence Hall (it was built when JFK was in office). This year, Tufts and Henderson Houses will add to the College’s presence. Living in a grad student dorm has its perks. There are exercise, music, and media rooms. Plus, both singles and doubles have private bathrooms. Located on East 60th Street next to the new Chicago Theological Seminary, New Grad is a stone’s throw away from your classes but is still nuzzled in its own nook. In a way, New Grad is most unique in that students living there get to create their own history. For instance, will it adopt as a mascot Henderson’s wombat? Or will it settle for something unique—like a bearded, exhausted Ph.D. student? The former home of Kurt Vonnegut (A.M ’71) and of Monopoly tournaments frequented by Milton Friedman (A.M. ’33), Pierce Hall is now only a fenced-off remnant of its once explosive past. Pierce, known often as the dorm of “this wasn’t even in my top three,” officially got the wrecking ball earlier this month after years of tumultuous experiences (including explosive toilets) and strong community. The iconic 11-story tower is going to be replaced by Campus North, slated to open by fall 2016. In the vein of more recent developments on campus, the 62-year-old brick rectangle will be replaced by the elaborate makings of Studio Gang Architects, known for the Aqua building downtown. During the transition, the four approximately 60-person houses from Pierce will relocate to other residence halls, a move that initially upset current residents who feared the loss of house culture. Tufts and Henderson, which occupied the third through sixth floors, will go into New Grad; Thompson and Shorey, which occupied the seventh through tenth floors, will move into I-House. In its 53 years of students, Pierce accumulated many legacies other than combative plumbing. The annual winter sports frolic, which took place inside Henry Crown Field House, was a competition between the four houses where even attendance counted toward the win. TANSTAAFL, named for Friedman’s “There ain’t no such thing as a free lunch,” hosted the famed economist for sherry hours, and more recently operated as a snack bar and then study space. And for those who can’t let go, a University webcam lets you follow the dorm’s destruction. What could be better than living in beautiful neo-Gothic dorm buildings, one of which (Hitchcock) is listed in the National Register of Historic Places? Maybe living directly on the main quads. Well, the century-old Snell-Hitchcock boasts that, too. The two houses, Snell and Hitchcock, have their own kitchens and laundry rooms, and share a recreation room featuring pool and ping-pong. Snell is mostly singles, while Hitchcock is twice the size and has doubles, making it a more social place. And the chairs might be the same ones in which Enrico Fermi or Carl Sagan (A.B. ’54, S.B. ’55, S.M. ’56, Ph.D ’60) sat. Like a fine wine, Snitchcock’s character is well-aged, strong, and makes some people vomit. Snell’s mascot is an armadillo, a reference to its Latin motto, which translates as “ugly but useful.” The dorm has won 13 of the 27 Scav Hunts to date, and the common room (“The Green Room”) turns into a glorious catastrophe of wood, electronics, and replicas of ancient chariots during Scav weekend. Other traditions include SnoBQ, a BBQ in honor of the first snow, the Tea Room lectures held in Snell’s common room, and playing Sharks and Minnows in the Reg to kick off reading period. But one of the best parts of Snitchcock is the community. Residents are normally early action admits, many of whom are so enthusiastic about the University that they applied to live in Snitchcock the first day that the Housing office let them. Whether you need a helping hand with Calc or a buddy to watch Dr. Who with, Snitchcockers are always there for you with their amiable armadillo pride. South Campus appeals to the inner seagull in all of us. It’s a shiny object. A large shiny object. A mammoth-sized shiny object that happens to hold about 1570 students at East 60th Street and South Ellis Avenue. Residents of South love complaining about crossing the Midway during the winters, about the dining hall food a mere two yards away from their building, and about how the elevators don’t take them directly to their rooms. South Campus is the largest and newest residential hall on campus and contains brightly lit, spacious rooms (unless you’re in a triple this year—sorry, buddy). Students who live here like to talk about how they can find plenty of “normal people” around if they want to and how their houses have deeply rooted cultural traditions that go back all the way to 2009. The dorm is divided into South Campus East and South Campus West. Each has its own set of Resident Masters who hold events including tea time, visits to plays, and visits to baseball games. The large size of South Campus affords students several benefits. Music practice rooms located in the basement serve as a place for students to escape when their roommate has sexiled them, engage in sexual activities when they don’t wish to sexile their roommate, have loud private conversations over the phone, and cry, among other things. Also located in the basement are a recreation room with a foosball table, a fitness room, and walls that students draw on with chalk. On the fifth floor is a study room that will at first appear beautiful, but will eventually feel suffocating as you grow to resent the girl across from you who loudly pops her gum. Couple Stony Island’s far-off locale at East 57th Street and South Stony Island Avenue with the fact that it’s essentially a University-owned apartment complex, and it’s easy to see how “Stony” got its reputation as perhaps the homiest, most comfortable dorm at UChicago. Each unit in Stony houses four people in a two-bedroom, two-bathroom apartment complete with a kitchen and a spacious living room. Originally purposed to house junior faculty when built in 1988, Stony affords its residents the best of both worlds when it comes to amenities. Like Max and South, it has truly reliable heating and is air-conditioned, yet it also boasts large balconies with fantastic views of Lake Michigan and the palatial Museum of Science and Industry. Despite Stony Island’s quiet comfort and charm, the repose ends for its nearly 80 residents when it’s time to walk to class. Snow and ice too slick for bikes and less-than-reliable shuttles often mean a long walk to campus—well over half a mile—in frigid weather. That said, Stony’s location isn’t all bad. It lies just steps from the Loop-bound #6 bus as well as the Metra. Venture a few blocks northeast and you’ll hit the picturesque Point. And the trip to Ratner may seem unthinkable during the winter, but Stony has an exercise room on its ground floor.